The Financial Conduct Authority (FCA) has ordered banks to speed up the compensation process for up to 60,000 businesses affected by the mis-selling of interest rate hedging products (IRHP) dating back to 2001. The majority of these products – also known as interest rate ‘swaps’ – were sold to businesses prior to the 2008 financial crisis and have come under intense scrutiny since an FCA review in 2012. 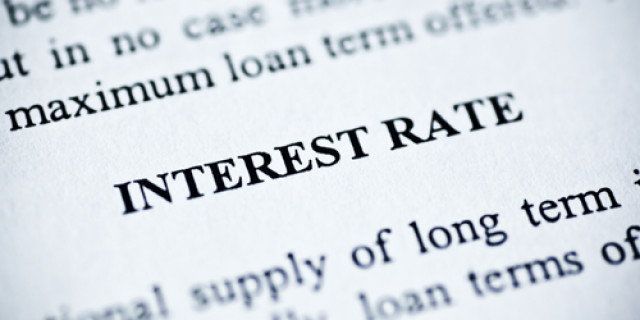 IRHPs are used to hedge against extreme interest rate movements in a defined time period but the impact of the recession and subsequent fall in interest rates left companies owing banks inordinate amounts of money in yearly interest payments – and often unaffordable termination fees. As a result, the big four banks have put aside £3 billion to cover compensation payments and legal processes but, unlike other mis-selling sagas such as PPI, the nature of complex derivatives means that each product, price, payment and case is different. No-one lost their business, livelihood or hundreds of thousands of pounds over a mis-sold PPI policy; unfortunately the same cannot be said for numerous firms that agreed to IRHPs. Quantifying these ‘consequential losses’ is a crucial element and habitual sticking point in the claims process. They can include professional fees, charges, loss of profits, damaged business relationships, the company facing an insolvency process such as liquidation, and so on. Both initial and subsequent effects can be difficult to quantify and it is up to forensic accountants to examine all losses. The task is intricate but of grave importance with these mis-sold products leaving scores of businesses in real financial distress with ravaged cash-flow and poor credit rating. The objective of any claims process is to put a business back in the position it would have been in had it never entered into an interest rate swap agreement. “Many businesses are failing to recognise that they could be entitled to a payout for these consequential losses,” comments Mike Fanshawe, Forensic Manager at BTG Global Risk Partners. “Forensic accounting plays an essential role in analysing complex loss escalations which may have been exacerbated by IRHP costs. It is up to forensic accountants to prepare financial models and determine consequential losses based on all the available evidence by working closely with legal teams to ascertain the potential for a claim and whether it passes the requisite legal tests. At present, businesses are faced with a six-year limit to seek redress under UK laws which means many firms are running out of time to pursue what can be an extensive and complex compensation process – leading to calls from the FCA in November 2013 for banks to expedite the process. “Anyone who wrongly suffered as a result of having been mis-sold an interest rate hedging product will get appropriate and fair redress,” said Anthony Browne, chief executive of the British Bankers' Association. Mike has over 20 years’ investigation experience, including 12 years at the Insolvency Service. He qualified as a Chartered Certified Accountant in 1996 and is accredited by the ICAEW as both a Forensic Accountant and an Expert Witness. He is also a member of the Fraud Advisory Panel and the North West Fraud Forum.